Netaganza offers a variety of consulting services to clients including full service accounting, financial analysis, bookkeeping and payroll services for personal and business entities of all sizes in the greater metro Raleigh, NC area. Do you need CFO services, an accountant or bookkeeper in the metro Raleigh area? Do you want a partner who cares about your business as much as you do? Are you interested in streamlining your business practices and getting the most for your money? Full service accounting, financial analysis, bookkeeping and payroll. If you are looking for someone to handle some or all of the paperwork, help you analyze your business and free you up to spend more time with your clients and grow your business, give us a call! Quickbooks ProAdvisor with 20 years experience as a bookkeeper, accountant, payroll service provider and small business consultant. 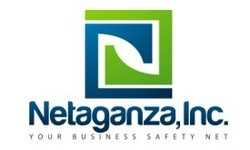 Netaganza, Inc. is a Raleigh accounting firm that provides a variety of business services to their clients. We provide full service bookkeeping, accounting and payroll services locally in the Raleigh, Cary, Durham, Chapel Hill, Wake Forest, Morrisville and Holly Springs area (Wake and Durham Counties) and nationally via remote connect.